Back in May earlier this year, Flipkart not only sold a controlling stake to Walmart but also bought eBay’s India operations in exchange for a minority stake. Fast forward a couple of months and Flipkart has now decided to shut down eBay India, which falls in line with the plans it had in mind while buying India’s oldest retailer in the first place. 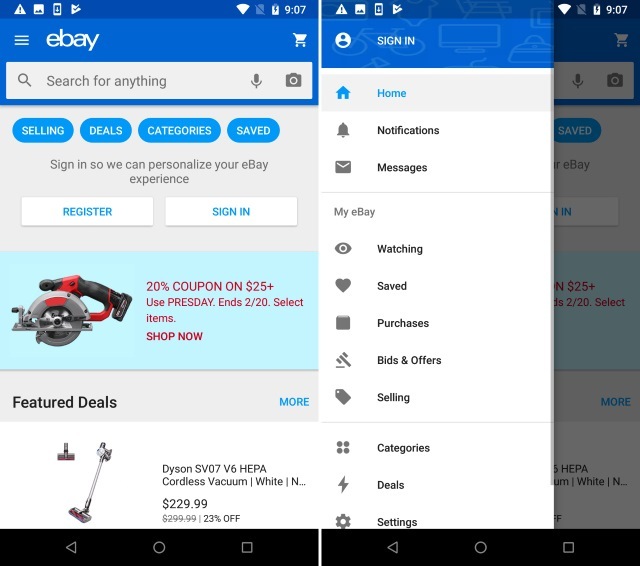 When Flipkart bought eBay India, it had already decided that eBay will not continue to run in a similar fashion and that it will be refreshed and relaunched for the Indian masses. So, instead of trying to convince users of the quality of refurbished goods being sold under a well-known brand, that doesn’t attract eyeballs, Flipkart is making a smart move. Flipkart will soon launch a ‘new platform’ for selling refurbished or used goods in the country. eBay India competes with the likes of OLX and Quikr, which cover a majority ground in this segment in India. Flipkart’s new plan differs greatly from what the company had previously imagined. While announcing its latest funding round and acquisition by Walmart, Flipkart asserted that it won’t focus on domestic sales via eBay India, but instead promote cross-border sales in India. eBay India has announced its retirement via a ‘Transition FAQ’ page which reveals that you will only be able to list new items until July 31. The platform will stop accepting new orders from August 14, which means it would become out of operation on the same day. So, the sweet days of eBay India are finally coming to an end, but it also marks the dawn of a new refurbished goods platform.